Formula E, officially the FIA Formula E Championship, is a class of auto racing that uses only electric-powered cars. The inaugural championship started in Beijing on 13 September 2014 and the FIA Formula E - Berlin ePrix has kicked off at 8:00 am on 21st May 2016. 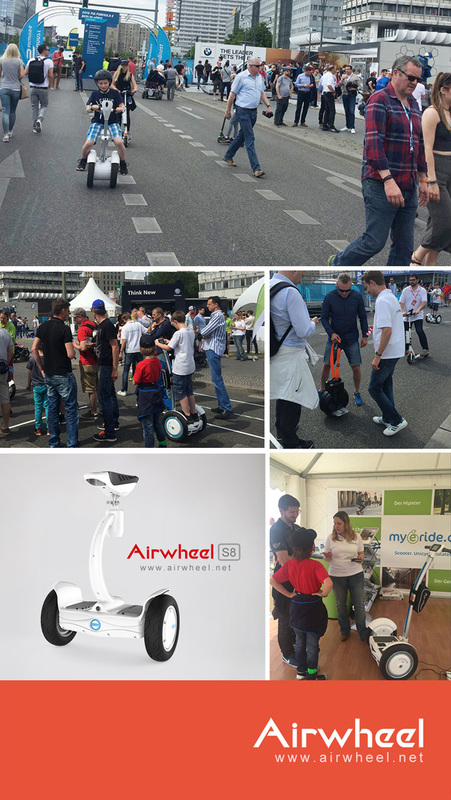 Airwheel self-balancing electric scooters appeared at the eVillage - Karl-Marx-Allee near Alexanderplatz in Berlin to cheer on the racers. Airwheel self-balancing electric scooter, studied and developed in the United States is gaining popularity all over the world, thanks to its unique characteristics, portability, environment protection, simplicity and in vogue. Its products range from electric unicycle to double-wheels electric scooters are real revolution in the field of personal mobility and will change the concept of personal transportation within public urban areas and private spaces. FIA Formula E - Berlin ePrix was kicked off on 21st May 2016. All events begin with two practice sessions in the morning, an opening 45-minute session followed by a further 30-minute session. Drivers each have two cars at their disposal with 200 kW available throughout. 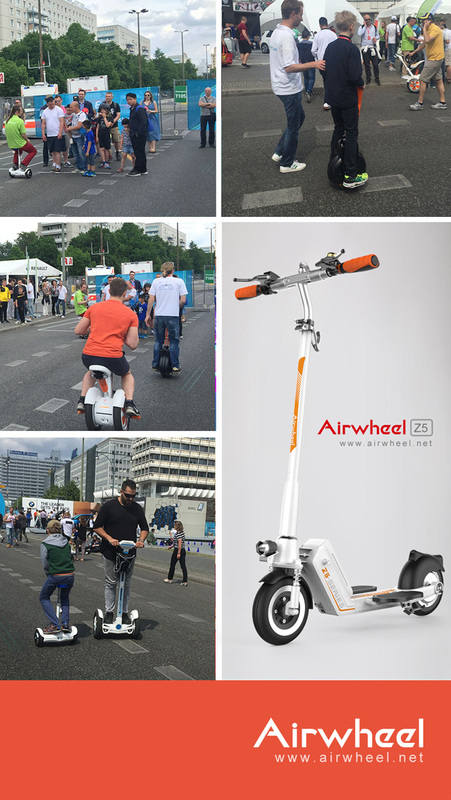 The FIA Formula E - Berlin ePrix began at 8:00 am and last to 6:00 pm., Airwheel brought kinds of intelligent electric scooters at the eVillage - Karl-Marx-Allee near Alexanderplatz to cheer on the racers, such as the Airwheel A3 and S3.